Specs for the upcoming Google Pixel 3a and Pixel 3a XL have appeared online confirming whatever we've known so far about these mid-range Pixel 3 devices. The phones are expected to officially launch on May 7 in India and will jostle for space in the fiercely competitive mid-range segment alongside other popular OEMs. We still aren't sure about the battery capacity of the Pixel 3a XL but expect it to not too different from the 3,000 mAh capacity of the Pixel 3a. 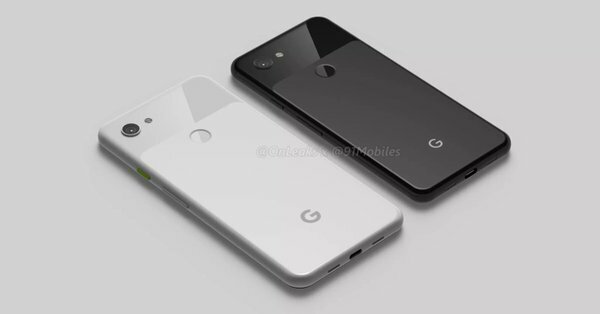 Recent case renders of the Pixel 3a and 3a XL seem to indicate fairly prominent top and bottom bezels so it could be possible that these phones might feature the Pixel 3's dual front-facing speakers. We still do not have confirmation on this so we'd advise skepticism. The Pixel 3a and 3a XL are expected to be valued at US$300 and US$350 respectively, with the actual retail price likely to be slightly more. This price range is a hotly contested niche in the Indian smartphone market. While many OEMs are now offering near flagship-level features at that price with high MP dual cameras and a host of other enhancements, Google has an edge with respect to excellent camera performance, stock Android, and timely updates. It remains to be seen how well these smartphones would be received in India and other global markets.